What’s Monday night football without grub and friends? Monday night my boyfriend and his friend, Brian, were over watching football, working, and keeping track of their fantasy football teams. Brian lives in Omaha and flies here almost every week; they work together. Earlier in the morning, my boyfriend told me Brian was flying in and asked if I’d make them food for the games. I never decline a request or an opportunity to get in the kitchen! I think it’s fair to say whiskey is a common man’s drink. My dad loves it, my boyfriend loves it, his dad loves it, and most likely your dad loves it. 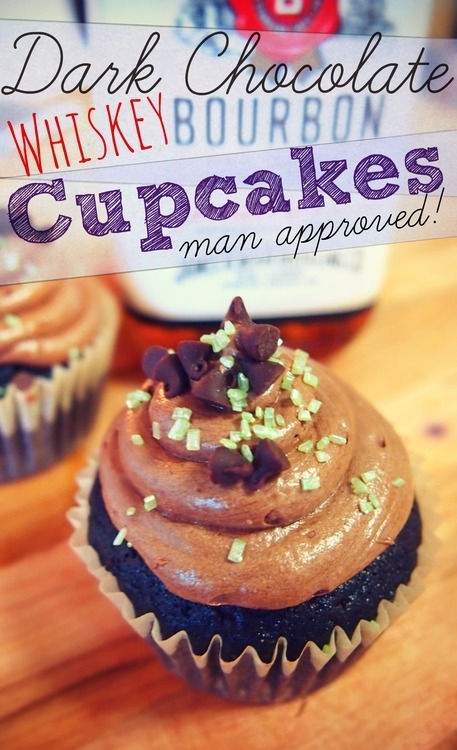 That is why I chose whiskey for the cupcake flavor. 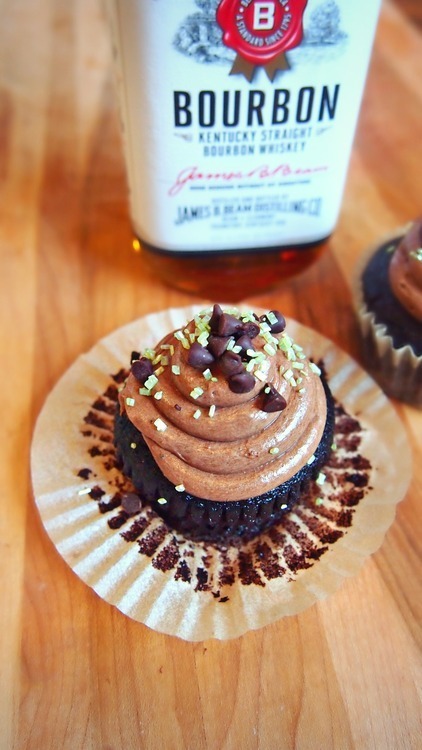 I did a little research and found an awesome recipe for dark chocolate whiskey cupcakes and decided to go with it! 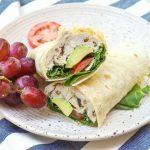 I like to see tutorial photos for recipes. I’m more of the “monkey see, monkey do” kind of person and not the “monkey read, monkey do” kind of person. So I decided to make the recipe in a tutorial post for those of you like me! 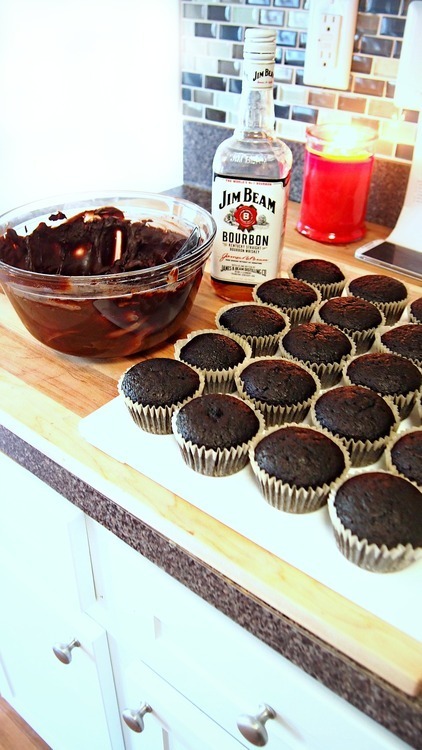 Cupcake Batter Ingredients: *2 Cups All Purpose Flour, *3/4 Cup Dark Cocoa Powder, *2 Cups Granulated Sugar, *2 Tsp. Baking Soda, *1 Tsp. Baking Powder, *1 Tsp. Sea Salt, *2 Large Eggs, *1/2 Cup Extra Bold Brewed Coffee, *1/2 Cup Whiskey, *1 Cup Buttermilk, *1/2 Cup Vegetable Oil. Don’t want to use vegetable oil? I don’t blame you! Just replace the vegetable oil for 1/2 cup unsweetened applesauce! 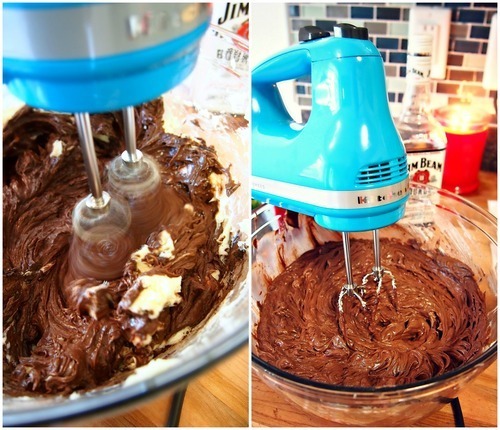 Grab two mixing bowls. One for the dry ingredients and one for the wet. Brew one cup of extra bold coffee and place it in the freezer to chill faster. You don’t want to add extra hot coffee to the wet bowl or it will cook the eggs. 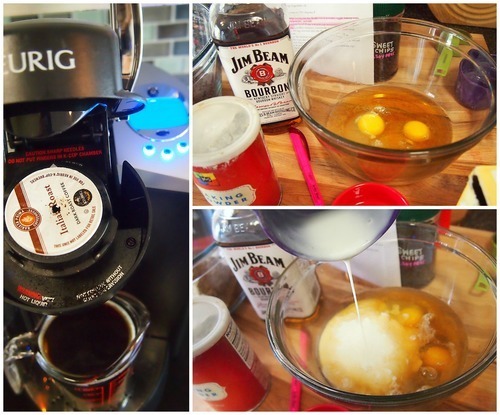 While the coffee is chilling, mix together the eggs, whiskey, buttermilk, and oil. 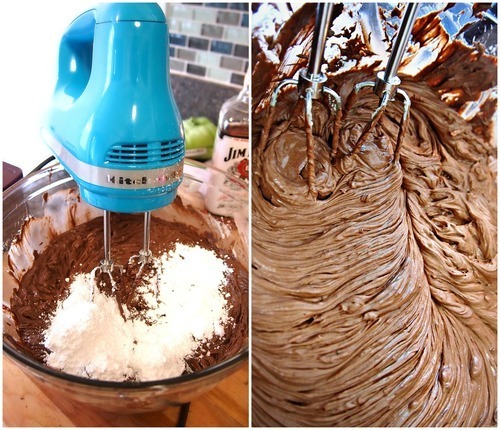 In a large bowl, stir the flour, cocoa powder, sugar, baking soda, baking powder, and salt together. 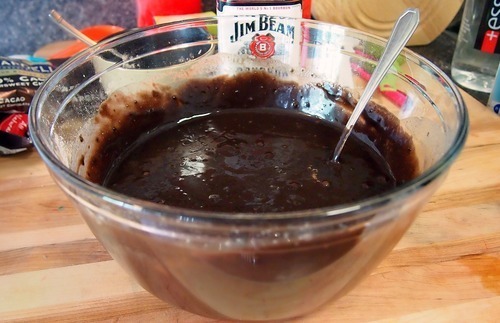 Remove the coffee from the freezer and add it to the wet ingredients. 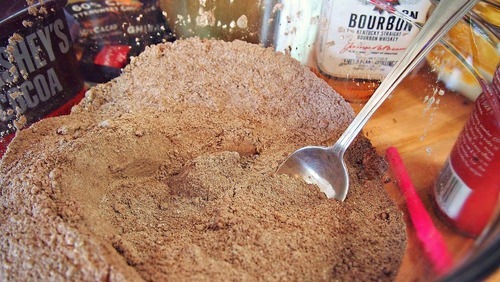 Gradually pour and stir the wet ingredients into the large bowl with the dry ingredients. 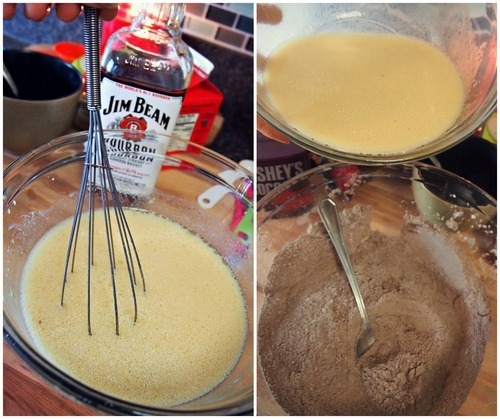 Don’t be afraid to dip your finger into the batter to make sure the whiskey is strong enough. Or you can be classier and use a spoon. 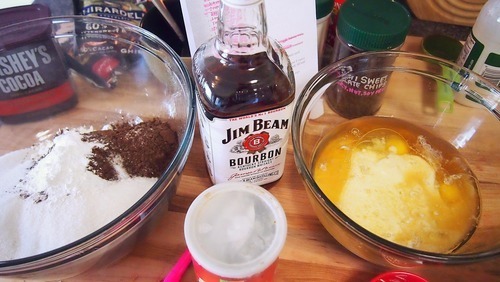 For every extra tablespoon of whiskey added, add two tablespoons of all purpose flour as well. I ended up adding bout four extra tablespoons of whiskey and eight tablespoons of flour. The boys like the whiskey strong! 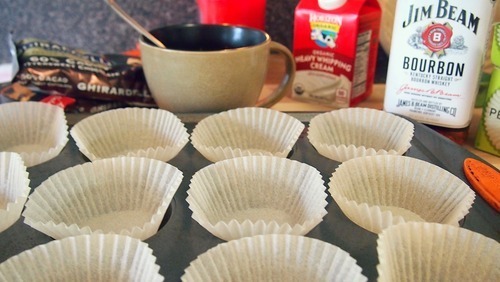 Fill a pan with cupcake liners. Pour about 1/4 cup of the batter into the liners. Only fill the liner 1/2 way. They will rise to the top. 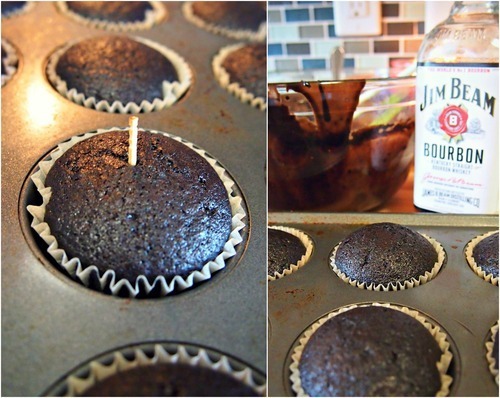 Place the cupcakes in the oven for about 18-20 minutes. And make sure your dog doesn’t sneak into the kitchen to grab a cupcake. 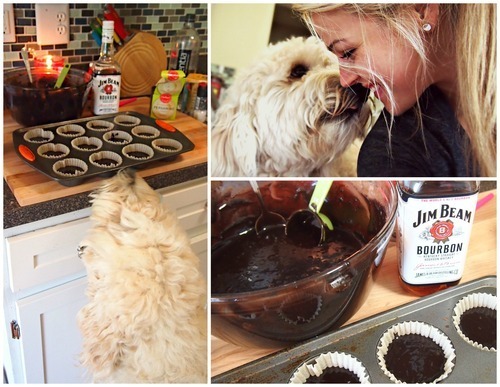 Dark chocolate, whiskey, and dogs don’t mix. Thank goodness Mr. Grumples is hypoallergenic because he’s the best sous-chef! 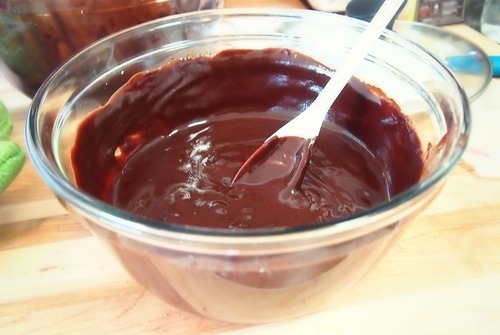 While the cupcakes are baking, prepare the dark chocolate ganache! 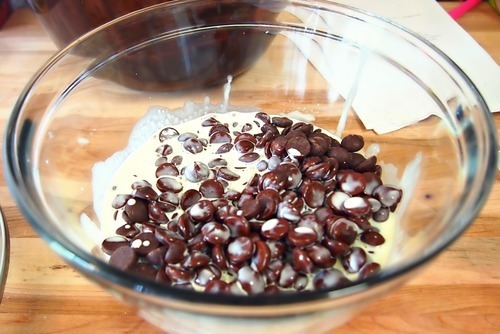 Ganache Ingredients: *16 Ounces Good Quality Dark Chocolate Chips (60-72%) *3/4 Cup Heavy Whipping Cream, *2 Tbsps. Unsalted Butter, Softened, *1/4 Cup & 2 Tsps. Whiskey. The ganache was very rich, so if you are not a fan of dark chocolate, cut back on the percentage. 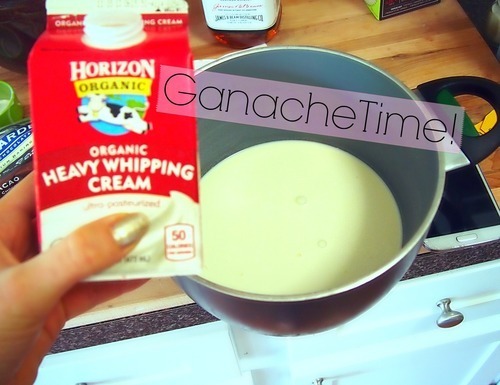 Bring the heavy cream to a boil in a sauce pan. 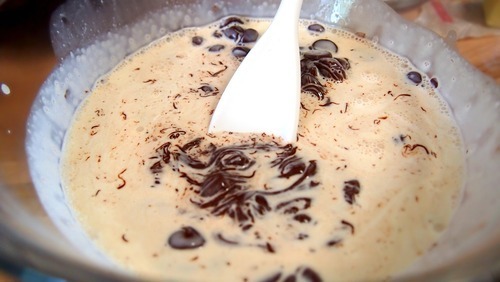 Pour boiled heavy cream over chocolate in a heat proof bowl. 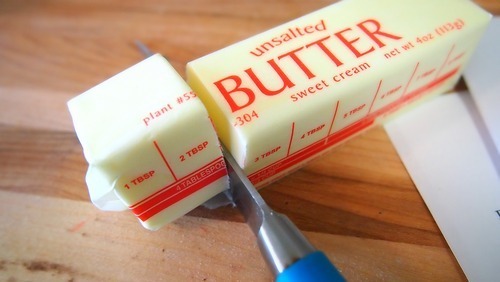 Add two tablespoons of unsalted butter to the bowl. 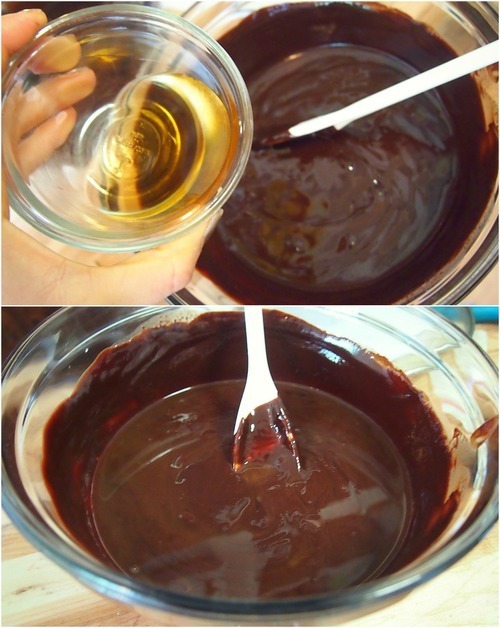 Cover the bowl for about two minutes to allow the chocolate and butter to soften and melt. 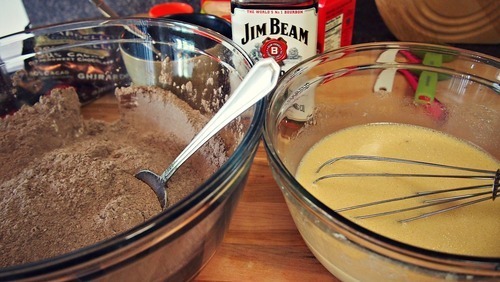 Uncover and stir with a whisk until smooth and silky. I had a hard time melting the chocolate, so I placed the glass bowl on the stove burner on low for about three minutes while stirring. Stir in whiskey until fully incorporated. Cool completely. 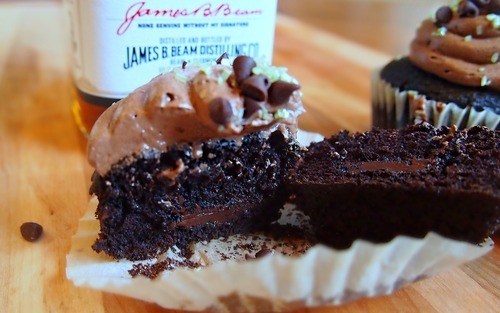 Just like the batter, taste the ganache to make sure it has enough whiskey to your preference. Set the ganache aside and let it cool completely. I put mine in the refrigerator. 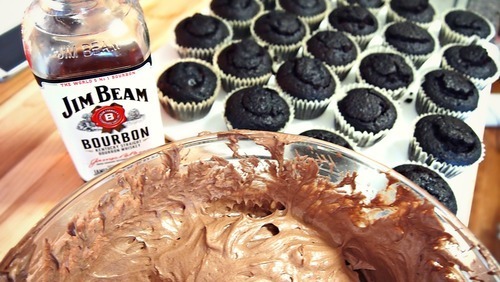 The cupcakes should be done by the time you are finished making the ganache. 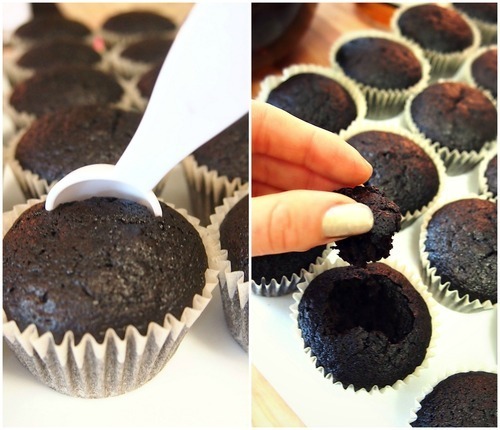 Take the cupcakes out of the oven and use the toothpick method to determine if they are done. 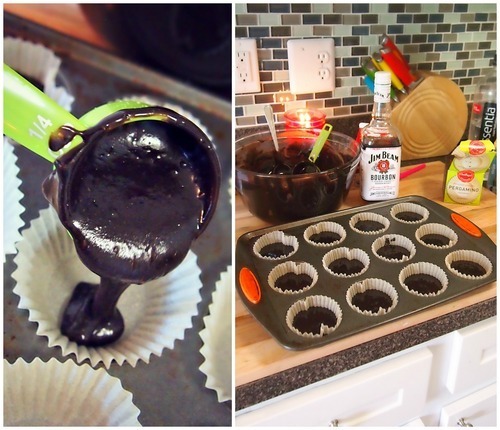 Poke the center of the cupcake with a toothpick. If the toothpick comes out clean, the cupcake is finished! 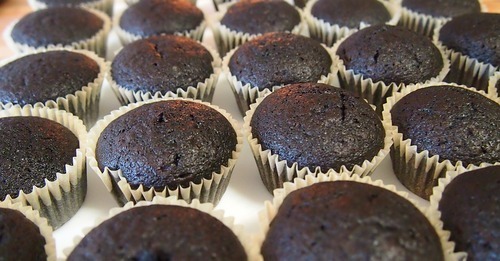 Take the cupcakes out of the pan and let them cool immediately after taking them out of the oven. 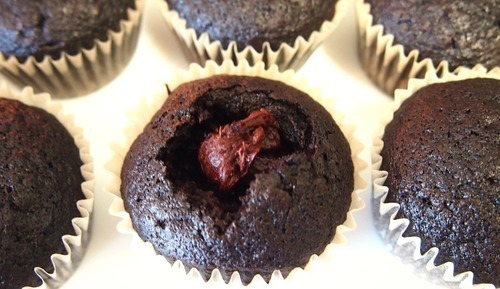 Cupcakes can continue to cook if left in the pan. The recipe makes approximately 27 cupcakes. 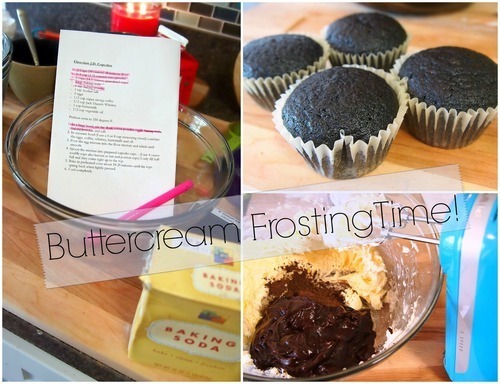 While the second batch of cupcakes are baking, prepare the buttercream! 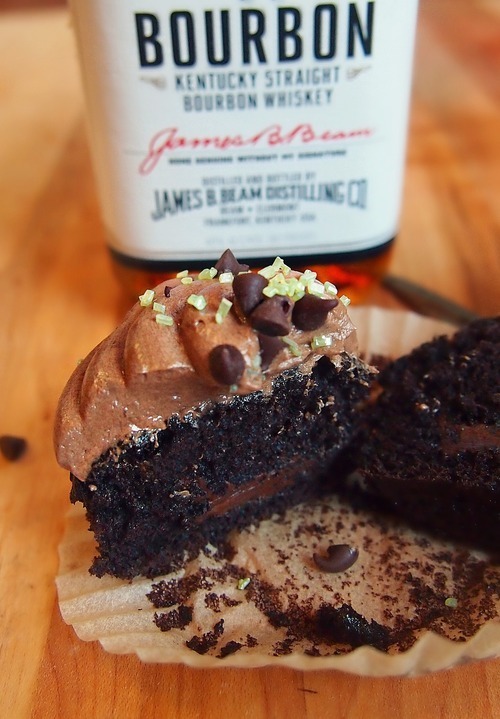 Buttercream Ingredients: *1 pound unsalted butter, softened, *3 Ounce Package White Chocolate Instant Pudding Mix, *2 Cups Dark Chocolate Whiskey Ganache, *1/2 Cup Sifted Dark Cocoa Powder, *1/2 Cup Heavy Cream, *1/2 Cup Powdered Sugar, *Whiskey to Taste. 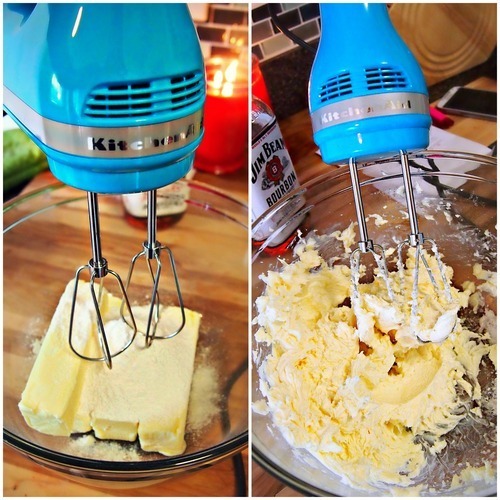 You can use your hand mixer or your standing mixer. Sometimes I’m way too lazy to drag my stand mixer out and clean it. So I just used my hand mixer. 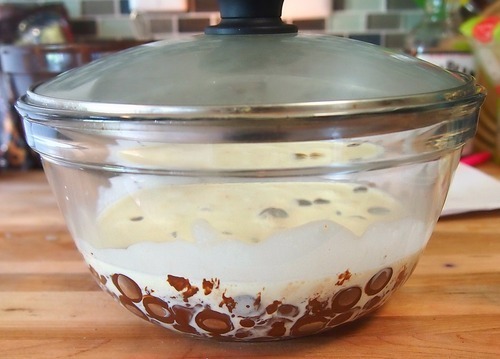 In a large mixing bowl, beat the butter and pudding mix together on medium high speed for five minutes or completely whipped and combined. Add the ganache, cocoa powder, and heavy cream. Add the powdered sugar a little at a time and beat on low. Add the whiskey tablespoon at a time with extra tablespoons of powdered sugar to prevent the buttercream from going flat or runny. Set the buttercream in the refrigerator to firm up and cool. 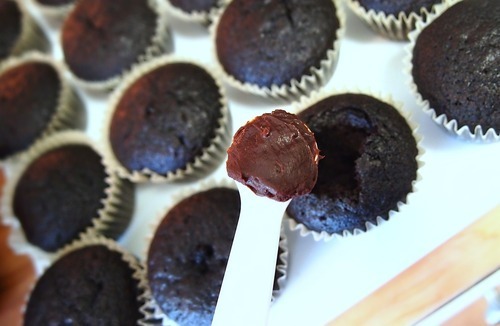 To insert the ganache into the cupcakes, take a chunk off the top of the cupcake. I used a teaspoon spoon. Insert 1/2 tablespoon into the “hole”. Place the removed chunk back onto the cupcake and press down. 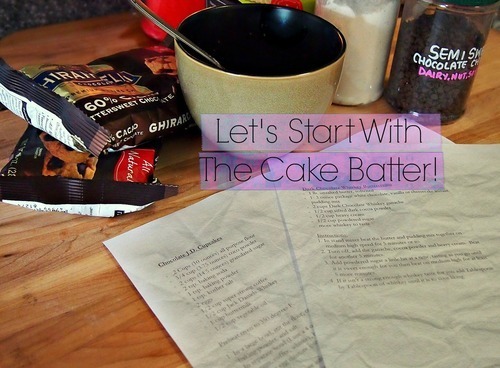 Remove the buttercream from the refrigerator and top the cupcakes! For the frosting, I used a squeeze bottle and cut the tip to allow the frosting to flow our smoothly. For the decorations, I used green granulated crystals and mini dark chocolate chips. Sea salt would be a great topping, too! I took a bite once these were finished and…Wow! These tasted decadent, rich, and professional! You’ll either stop at one, or end up drunk off five. If you are looking for a way to win over a man’s heart…this is it! 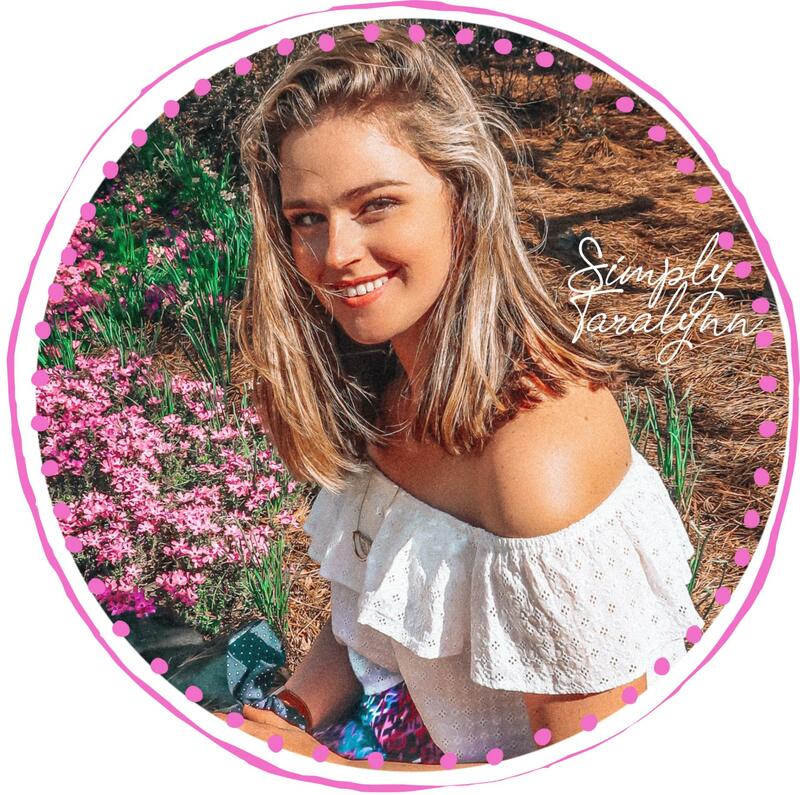 Do you have this in a printable version? 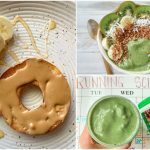 Taralynn, I’ve seen this recipe about a million times, but never really looked through the whole post. I was wondering…. do you think this recipe would work with rum, or does that sound gross? I’ve never really cooked with alcohol, so I wasn’t sure. A little tip (which you may already know) – You can pipe the ganache into the center by using a pastry bag with a larger tip. Just insert into the cupcake and squeeze into the cupcake. Can’t wait to try the recipe. My Dad is a big Jack Daniels fan so I think I’ll try that. These were really great! So much so, that my dad requested that I make them for his birthday!! And everybody else was in love with them. Thanks for the recipe Taralynn, they’re always delicious! Made these last night, delicious!! Tried these and completely forgot the baking powder and soda so they were more like brownies, but even with that they were a huge hit! People were saying I should can the frosting and sell it, it was that good! These were a HUGE hit! Mine didn’t look as pretty as yours but all the guys LOVED them! Teriyaki Chicken Salad with Pico & Bourbon Broccoli! Back to the Carolinas: Pancakes & Cobb Salad!